Can you believe we are only 45 days way from Christmas? This year is almost gone! It is time to start all of your holiday planning for home and work. It’s time to deck the halls, sip egg nog, and reflect over the wonderful year with family and friends. I get so excited about this time of the year! It’s the perfect time to be festive and fun!! I have the cutest secret Santa gift exchange for your office holiday fun. Send an e-mail to your department or team asking them who would like to play Stuff Santa’s Socks. Put all of the names in a hat or anything to pull names. Let everyone pull a name. You will need to determine if you will have a limit and if you want to have separate groups for men and women or one unisex group. After you get all of that out of the way it’s time to start having fun!! You purchase a pair of fun Christmas socks your secret co-worker can wear and stuff them with all types of goodies! I had so much fun stuffing these socks last year for a family member’s job!! You can actually play this family, friends, and even church members. See my picture below for an example!! 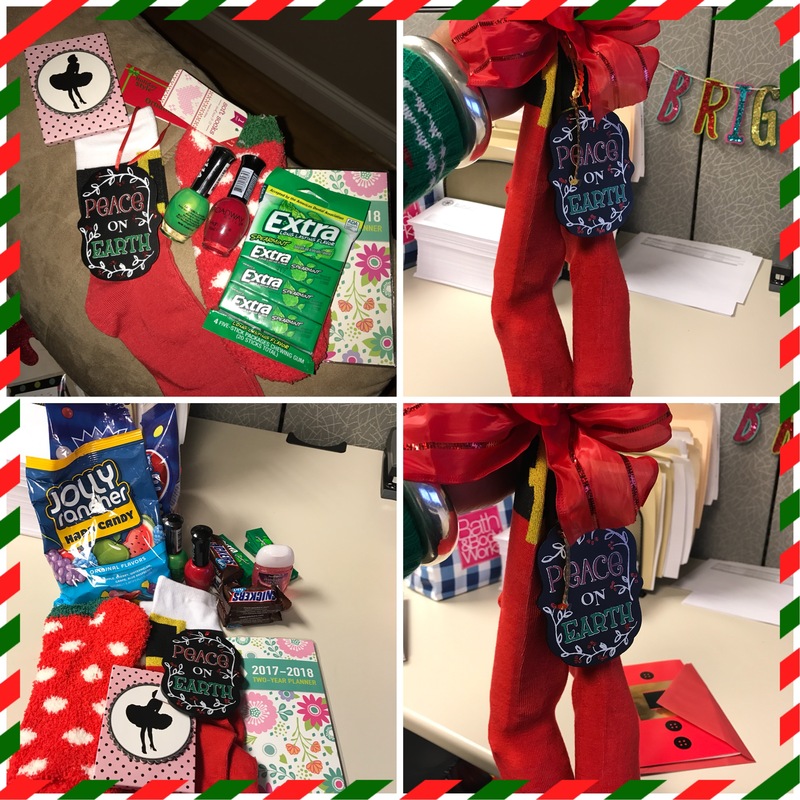 This is such a cute idea especially as a holiday gift for my coworkers! Thank you!!! I thought it was the cutest too!!! This is a great idea for Christmas! My little guy would love this! Thank you so much Shanika!! It is very fun! Great idea! DIY’s are always fun! Yes!!! I love them!! Thank you Tisha! Thank you Cousin!! I hope you try it!! !